In our previous post, we shared some delectable fall appetizer recipes that complemented the freshness of autumn. For this post, we bring to you some irresistible recipes that complete the fall menu with their sensational flavours. Any guesses? It’s the yummy desserts! With a wide assortment of special autumn fruits available for the picking, this is the perfect time to fall in love with some delicious desserts to satisfy everyone’s sweet tooth. Here are 3 easy fall dessert recipes you can try at home. Loaded with the heavenly combination of apples and caramel, these cupcakes are sure to make your family and friends smile. To make these yummy cupcakes, preheat the oven to 350° F. Combine all purpose flour, brown sugar, sugar, baking soda, nutmeg and cinnamon in a bowl and whisk properly. Add vanilla extract, egg whites, milk, sour cream, and butter to the mixture and mix until smooth. Add chopped apples and stir well. Fill 3/4th portion of the cupcake liners with the mixture and bake for about 15-20 minutes. After the cupcakes are perfectly baked, take them out and allow it to cool for 2-3 minutes. To make the caramel buttercream, mix butter and shortening together to prepare a smooth mixture. Add powdered sugar and caramel sauce and mix well. 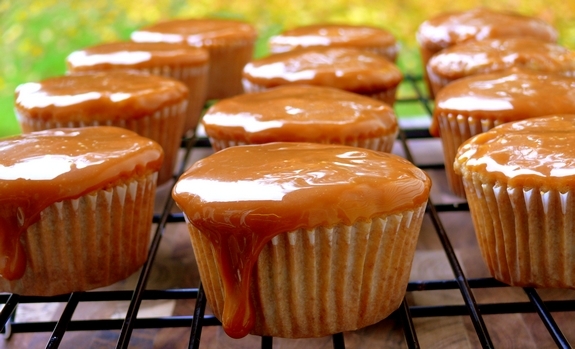 Decorate the cupcakes with caramel buttercream icing and top it with caramel. The yummy cupcakes are ready! 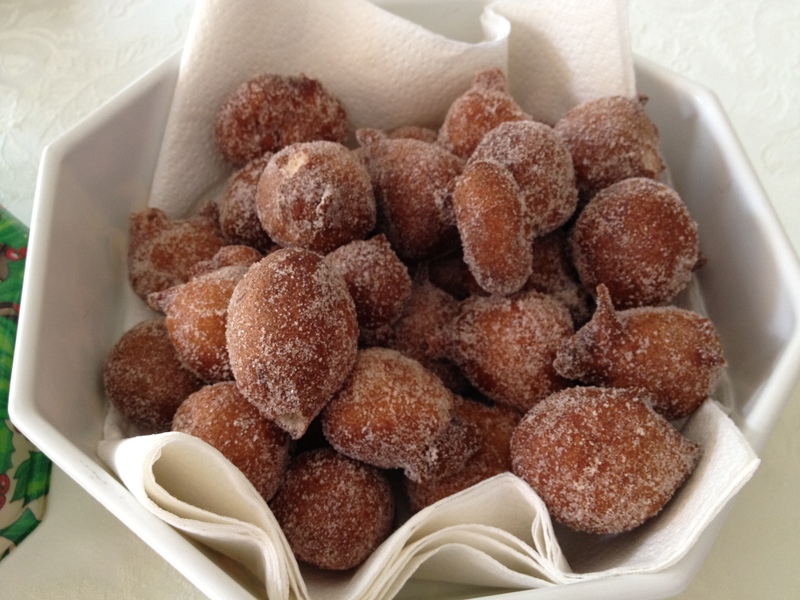 Enjoy the beautiful fall evenings with these bite-sized banana beignets. This easy-to-cook dessert can be prepared in just 30 minutes. Rolled in cinnamon sugar, this quick and easy sweet dish is a treat to your senses. Firstly, heat vegetable oil in a skillet over medium-high heat for deep frying. Whisk cake flour, baking powder, ground cinnamon, salt and granulated sugar in a large bowl. In a separate bowl, whisk a large egg, mashed banana, milk and vegetable oil (2 tablespoons). Finally, combine the two mixtures until the combined mixture becomes moistened. Add the remaining cinnamon and granulated sugar in a shallow bowl and set aside. Make round balls of the mixture and deep fry them in batches until golden brown (15 seconds per side). Drain the banana balls on a paper towel and roll them in the cinnamon-sugar for a sweet coating. Enjoy the crispy treat! 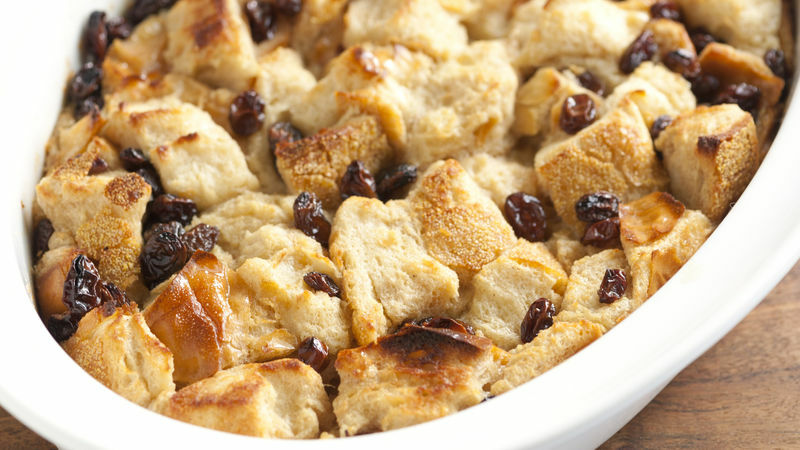 This easy-to-bake, no frills bread pudding is everyone’s childhood favourite. First of, preheat the oven to 375° F and grease the baking dish with butter. Cut white bread slices into cubes and add ground cinnamon, melted butter and raisins. Mix all the ingredients well with the bread cubes and place the mixture in the baking dish. Whisk together beaten eggs, salt, vanilla extract and white sugar. Add milk to the mixture and stir well. Pour the egg mixture over the bread cubes, sprinkle a pinch of ground nutmeg over it and bake for about 25 minutes. Garnish the pudding with fresh cream and strawberry for the perfect taste. Share this delightful pudding with your loved ones and celebrate the season. Say goodbye to the summer by adding these desserts to the fall menu. These sweet treats are quick, easy and mess-free. They are sure to impress everyone and make them crave for more. Happy cooking!